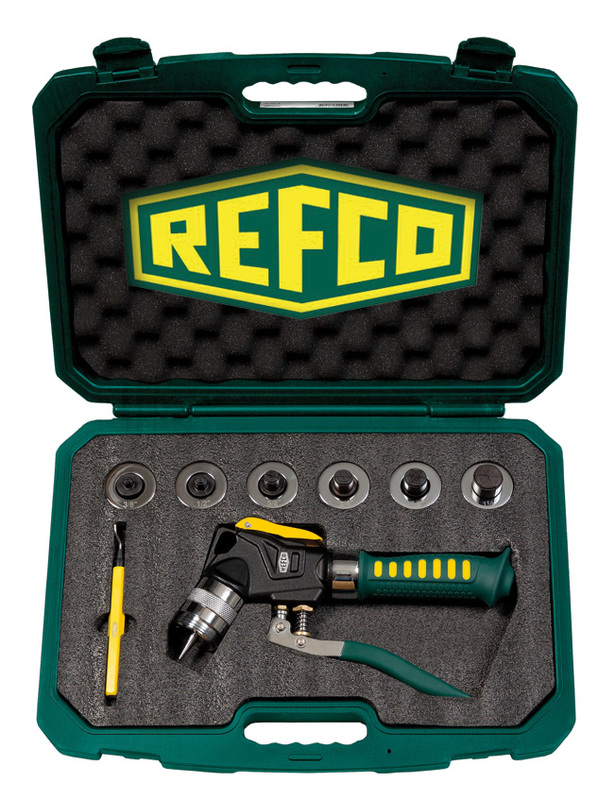 New Hydraulic Expander tool kit with 6 expander heads to cover all imperial size tubes of 3/8”, 1/2”, 5/8”, 3/4”, 7/8”,1 1/8” diameter. This set includes a sturdy deburring tool and is delivered in a handy plastic case. Using hydraulic power this lightweight expander makes a perfect expansion of copper and aluminium tubing with only a few pumps. 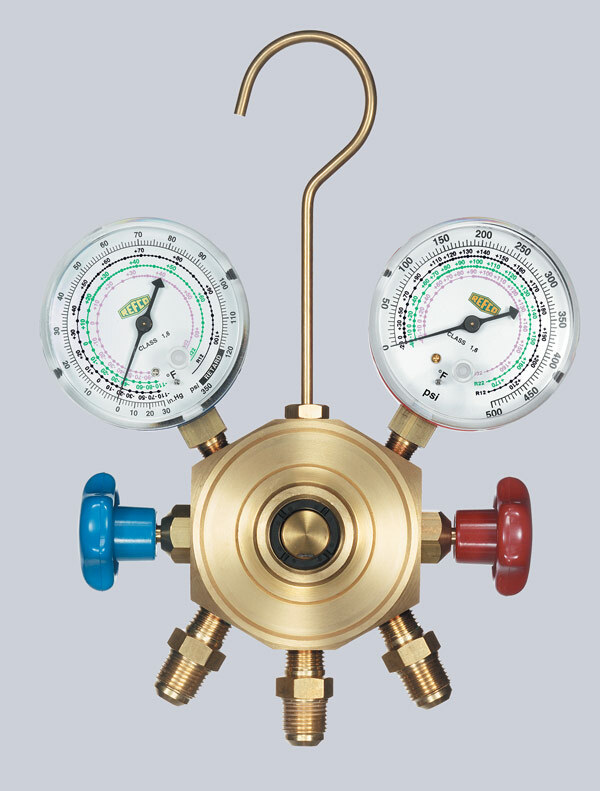 Hydraulic mechanism and release button make one-handed swages possible. Simply select the correct laser-engraved expander head, thread it on the tool and make a quality swage. A compact, pistol shape allows it to fit into the smallest and hard to reach spots. Requires less power to pump, provides a natural wrist angle. Fits all common HVAC/R imperial size copper tubing. Heads for all metric size copper tubing are available as well. Perfect accessory to upgrade existing manual expander kits. Rough edges or burrs can easily be removed prior to expanding the tube. Latest measuring instrument for continuous reading of measured values during the evacuation process out in the field as well as in the laboratory. The unit also has a practical hook for hanging and conforms to the IP classification 54. The LP-88 is a rugged and practical infrared thermometer with a pistol grip, which allows for contact free temperature measurement. Various temperatures can efficiently be measured within a room. The built in dual laser pointer simplifies the measurement, by marking the measurement area with two red laser points.